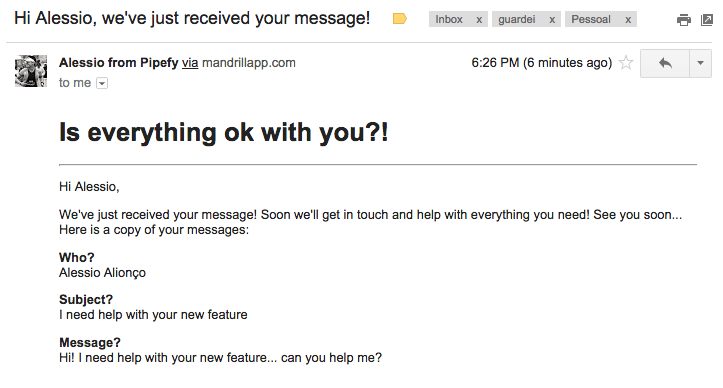 Second step: setting up the email template you've created to the phase(s) you want to send it from. 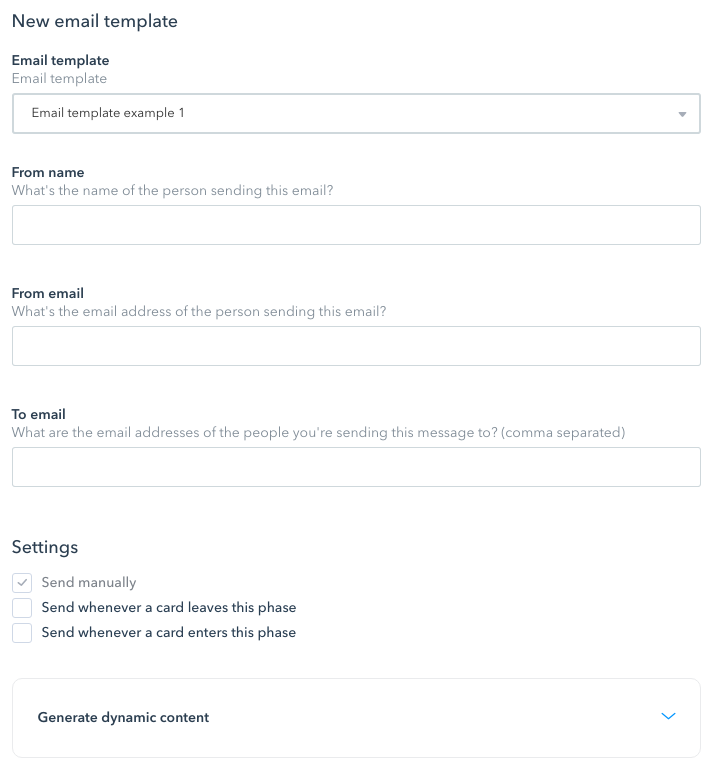 The first step for setting up a new email template is creating it in the 'email templates' section of your pipe settings. To access this section, open the settings sidebar by clicking on the gear icon in the upper right corner of the screen and scrolling down until you find the 'email templates' option. Once the ‘email templates’ section is open, click the ‘create a new email template’ button. Use bold or italic fonts, lists, title formats and more. We allow you to do so by using simple markdown notation, a method that allows you to format your content in a way that won’t create problems with your email’s html. Using simple markdown also increases your message’s deliverability. If you prefer, you can use markdown language directly in your text. You can learn more about how to use Markdown here. After you’re done editing it, save your Email Template and let’s move to Step 2. Before you’re able to send emails using the Email Template you’ve just created, you need to add it to one or more Phases. Pipefy Tip: You can add dynamic content here, so that the receiver’s name and email address can be extracted from the start form, for example. How to add dynamic content is explained above. Save your settings and you’ll be ready to send emails with this template. How to manually send messages using Email Templates? Open a Card in the Phase you’ve added the Email Template to and click the Email Template icon on the left side of the Card. Select the Email Template you just configured, and you’re good to go!